You have no idea how excited I am. This was one of the promotions I was most looking forward to, but never imagined it would overlap with my vacation. My first day in the parks will be on January 27th, and Robin Hood was one of my favorite movies as a kid. My inner 6 year old thanks you for making this happen. I want to meet Dumbo! He looked so cute at the opening of New Fantasyland! Darkwing Duck and Steamboat Willy! 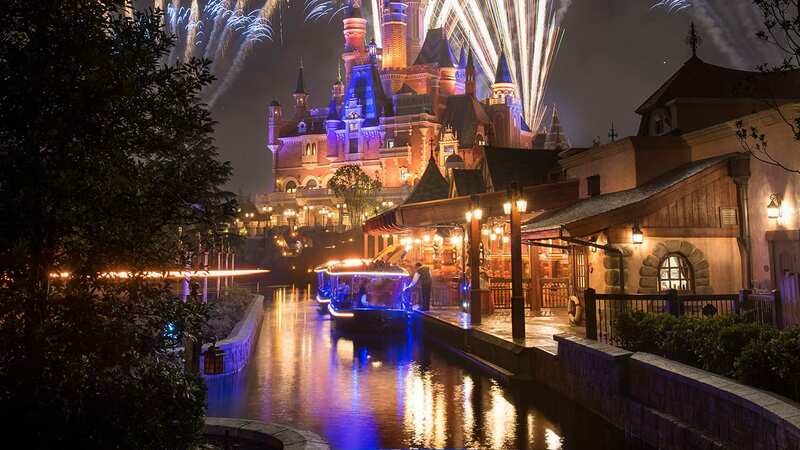 Will this event also take place at the Disneyland Resort at some point? I would book a flight if our long lost friend Dreamfinder returned. Uncle Remus! He’s the guy I really want to see. If you won’t bring him to the parks, would you at least release him on Blu-Ray? 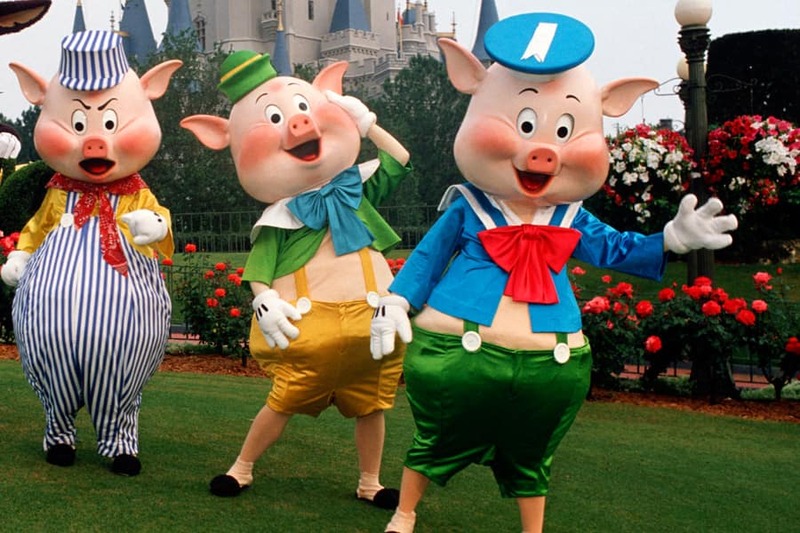 For old times sake, I’d love to see the 3 Little Pigs – we have home movies of them from Disneyland 41 years ago when they got into a fight with the big bad wold and one was pushed and fell into the bushes! LOL. Good Times! I’d love to see Darkwing Duck at DHS and Dreamfinder (with Figment) at Epcot. Both of those would make me happy. Prince John would be a great one. Also was a HUGE Roger Rabbit fan! Dreamfinder!!! That would be AWESOME. I would love to see characters from Hercules and Megara, as well as Quasimodo and Esmerelda! Oh and I complete concur with Shayna about PETE! He would be awesome in front of his silly side show! This is awesome. I have a bunch of pictures with these characters from my first visit in 1987. I would most want to see Darkwing Duck; however, I wish you would announce these things earlier so that those of us who love characters and don’t live in FL could make plans to come. A few days notice is not enough time to plan a trip. Clopin from Hunchback of Notre Dame! Above all, the Dreamfinder. He was a favorite childhood memory of mine that I’d love to see again. But also, I’d love an all Disney Afternoon crew with Cubbi & Sunni Gummi from Gummi Bears, Darkwing Duck & Launchpad McQuack, Uncle Scrooge & Huey, Dewey & Louie from Ducktales, Max & Goofy from Goof Troop, Bonkers, Baloo & Kit from Talespin, & Chip, Dale & Gadget from Rescue Rangers! The Muppets, Pirates of the Caribbean (Capt. Jack, Barbosa, Angelica, etc.) characters, Haunted Mansion Characters, & every other rare character! Roger Rabbit. Also, Figment (even though he’s from EPCOT, I’d love to see him again). Dreamfinder w/Figment would be incredible. I still remember seeing them at Epcot. I would also LOVE to see Roger Rabbit, Steamboat Willie, and some of the Muppet characters. I don’t know if they ever roamed the parks, but I would do anything to meet Si and Am. Chip and Dale Rescue Rangers. I also agree with Darkwing Duck! And further agree that I will book a flight with Figment and Dreamfinder appearing! I would also love to see some additional villians – Skar, Shan Yu, and Hades. And finally….80s Space Suit (EPCOT) Mickey – would LOVE this!! You give me a time and place for Gummi Bears and I will hop in the car right now for a 17 hour drive! Hercules, Megara, and Hades!!! We booked a trip as soon as we found out about this event, lets do it again with the Hercules characters at the end of February. Merlin!!!!!!!!!!!!!!!!!!!!!!!!! I have seen him at the Magic Kingdom before. In Fantasyland. It would be really neat to see him at the Sorcerer’s of the Magic Kingdom attraction in Town Square. 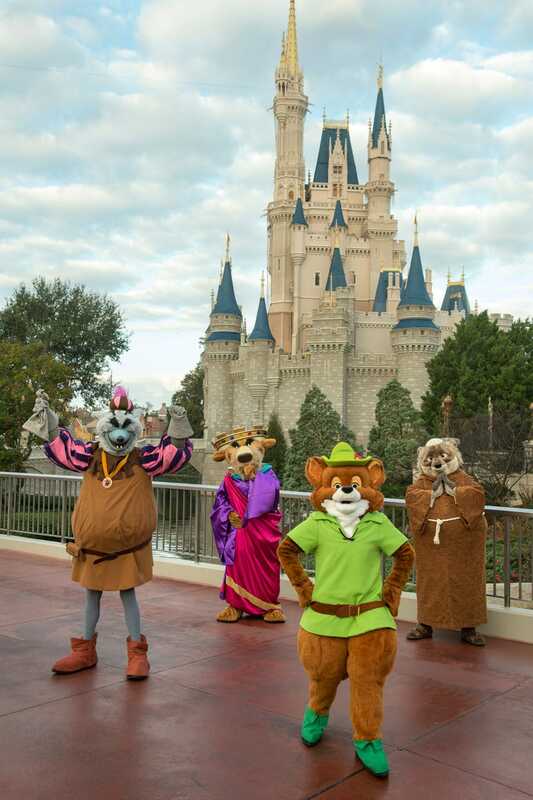 Oh, how I wished I would be at WDW next week; Robin Hood was my favorite Disney movie growing up! Hopefully, they’ll be around again this summer when I am there. All characters from The Jungle Book! Yes what about us here at Disneyland will they be here to next week. My birthday is on Jan. 23rd and this will be the best birthday gift to me if Robin Hood, The 3 Little Pigs and others came out. I could not possibly be more excited about this, because I’m coming next week with my son! Zachary LOVES the three little pigs, so I cannot wait to see his face when he meets them! Dreamfinder is a great call. This is the first Limited Time Magic that has REALLY excited me. I’m only sad that I’ll be arriving on January 28th, completely missing it. Oh, hooray!!!!!! We are coming next week!!! Our first day in parks is Saturday, Jan. 26!!!! I can’t tell you how excited I am, and how excited my kids will be when I tell them! And my hubby!!! Those are our faves that I can think of – but we will LOVE meeting any unusual characters! !